If the drilling operation is performed for a long time, the connection portion is damaged. There were three times. I want strength to increase. This review is about item#06684447. Since it is about once a year to use a long type, we plan to use it for the time being, but I purchased it for construction time, shortening. I usually use this standard type. This review is about item#6684221. I just bought it because it was a good length and size. However, even if I purchased it, delivery was late. That's a pity, somewhat satisfactory. Excuse me. This review is about item#60981934. This review is about item#6684316. Use it for hole drilling of the anchor. This time, I purchased a long size for the first time, but long is better, because I can use it without concern for depth. This review is about item#06684212. I purchased 20 or more. When it does not work, it is a hard rock and it is a time to melt or break it with heat. It will last a little for a while if you use cold tip while using it. It is very useful for the price. This review is about item#06684334. I am very satisfied as well as sharpness as well as sharpness. Also shipping was also faster and very helpful. This review is about item#06684395. I could easily drill a hole in Oya stone with a long type. Due to the small size, you can use what you have. This review is about item#06684282. Drill in the concrete of the floor. It is long and easy to use. This review is about item#06684185. I purchased it by mistake on the shape of the shank but cut a part of the shank with a disc grinder and use it as a straight shank. I installed it on the vibration drill of Bosch and used it for the drilling of concrete of a long ago but I can not dig as much as I thought. This review is about item#06684176. I am very satisfied with outstanding sharpness. This review is about item#06684133. 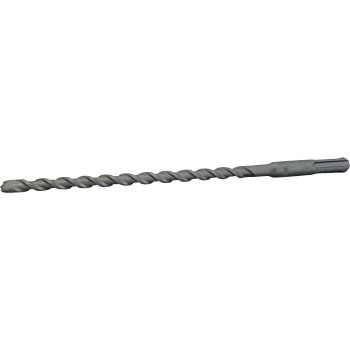 Until now, there was no long drill experience with a hex hammer drill and the concrete crushing after penetration was a neck. I hope it will be alleviated if sds. I was looking for a long drill blade (not yet used). It was used for installation of machine tool. I used a chemical setter for drilling work for installation. I am satisfied. This review is about item#10042042.